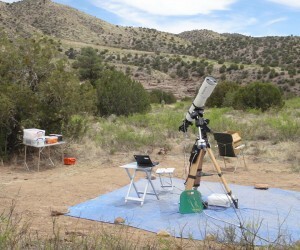 The skies were dark during the April 2012 New Moon period, the Casitas were full of amateur astronomers, and the weather was wonderfully dry and clear! We know from talking with our guests at Casitas de Gila Guesthouses that there are quite a few who have never seen the Milky Way because of the amount of light where they live. 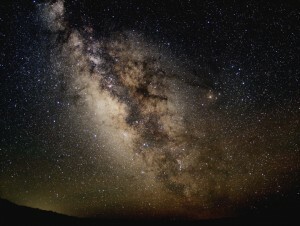 Right now the Milky Way is rising out of the southern sky in the very early morning hours. Alarm clocks are being set for 3 AM and guests are getting up to observe all of its magnificence. Here are some photos taken by one of our April New Moon guests. Fritz Kleinhans is an amateur astrophotographer/astronomer and retired physics professor. This was his third visit to the Casitas and he is delighted to share these photos with our Casita guests past, present, and future. 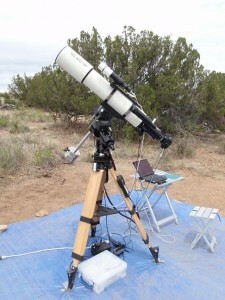 He’ll be back next spring, taking more photos and viewing more deep-sky objects. The scenery during the day time at Casitas de Gila is just as spectacular as the night skies! 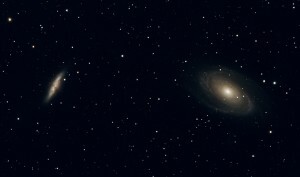 This entry was posted in astronomy, photography, stargazing and tagged astronomy, astrophotography, Milky Way, stargazing. Bookmark the permalink.